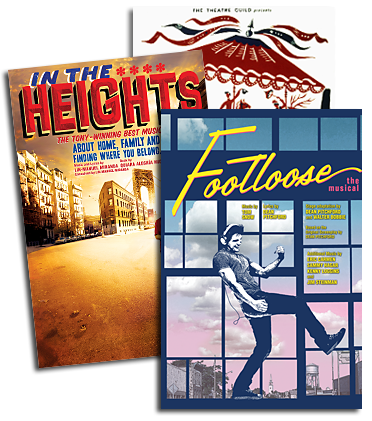 Since it first opened on Broadway, the stage version of FOOTLOOSE has played all over the world, and I've been fortunate to be able to witness many amazing productions of our show - from Sydney (Australia) to Honolulu (Hawaii) to Cardiff (Wales) and London's West End. After years of that kind of exotic - but exhausting - travel, I decided to take a breather. Since then I've regretfully declined invitations to see FOOTLOOSE in such far-flung locales as Johannesburg (South Africa), Paris (France) and Warsaw (Poland). So what am I doing, sitting on a plane headed for Osaka, Japan? After all, it's not like I haven't seen the show in Japan! A year after its first successful run in Tokyo, I caught up with FOOTLOOSE in Kobe in 2002, where an amazing cast brought thousands of cheering fans to their feet. So why am I now out-of-my-mind excited to be going to Osaka - a mere thirty miles east of Kobe - to see FOOTLOOSE performed in Japanese... again? In a word - Takarazuka. That's right. Takarazuka (pronounced: tah-kah-RAH-zoo-kah). The Takarazuka Theatre Company is a revered national institution in Japan (think: the Royal Shakespeare Company in England) which has been around since 1913. That's nearly a hundred years, folks! And in that time, Takarazuka has continued to thrive and grow to the point that they've now got theatres in both Osaka and Tokyo. The company is comprised of five distinct acting troupes, each of which specializes in a particular form of theatre - dramas, musicals, revues, etc. But what totally sealed the deal for me is this: Takarazuka is now - and has always been - an all-female acting company. That's right! After Japanese theatre had been dominated for centuries by the traditional all-male Kabuki troupes, the creators of Takarazuka decided it was time the ladies got their turn on stage. Interestingly, Takarazuka was formed by a railway company that had built tracks from Tokyo to many of the small, outlying towns in the Japanese countryside. The line to Osaka terminated in the neighboring community of Takarazuka, and, in an attempt to lure travelers to this off-the-beaten path destination, the the railway barons decided to build a theatre there. And not just any theatre. This theatre needed a twist. A gender-bending twist. In those early days, the performers were actually employees of the railway. That's right! The girls who'd punch train tickets by day would deliver punchlines by night. As the popularity of Takarazuka grew the actresses - for that's what they were now! - were employed to only work for the theatre. And not only in Japan. In its (nearly) one hundred years of existence, Takarazuka has toured extensively, selling out theatres from New York to Berlin... and beyond. So when I learned that Takarazuka was producing their one-of-a-kind, once-in-a-lifetime production of FOOTLOOSE, how could I stay home? In the next few days, I'm invited to a dress rehearsal of the show, after which I'll join the cast in doing publicity for Japanese TV and radio (and internet, I'm sure!) 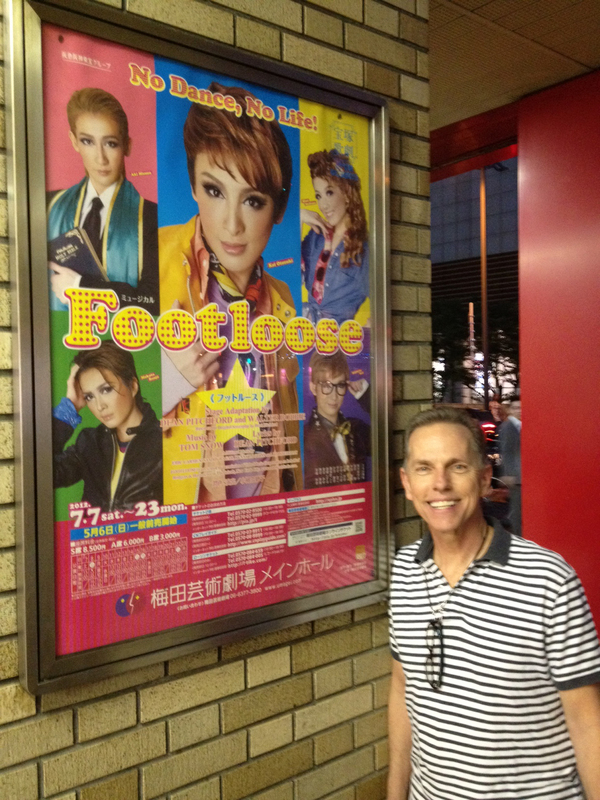 And then on Saturday, July 7, I will be among the thousands filling the Takarazuka Theatre for the opening night performance of FOOTLOOSE. From Elmore City to Osaka. Who'd've thunk? It's like I've always said: "Write a musical, see the world."